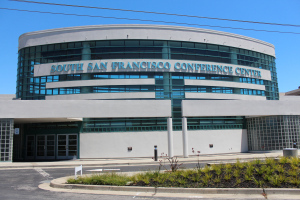 Headquartered in Silicon Valley, RheoSense is minutes from South San Francisco, heart of the blooming biotechnology industry in California. Many of RheoSense’s existing and potential clients are situated in this hub of technology and innovation. 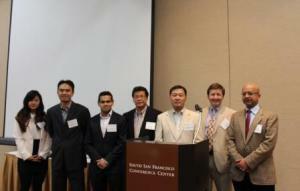 RheoSense hosted a seminar at the South San Francisco Conference Center on June 20, 2013. 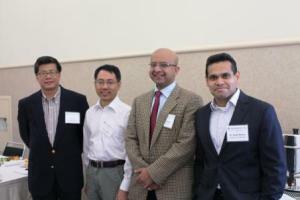 Entitled “The Importance of Viscosity Measurements in Protein Therapeutics: Challenges & Solutions,” the event featured three experts from East and West Coast: Professor Gareth H. McKinley (MIT), Dr. Jai Pathak (MedImmune), and Dr. Li Song (Oligasis). Vitus Lau, Director, Global Marketing & International Sales, welcomed speakers and guests with a brief presentation on RheoSense’s marketing focus and global presence. The Speakers proceeded to give their quality educational presentations. Many attendants asked questions and received insightful answers. Substantive discussions ensued between speakers and attendants. Later, Dr. Rajib Ahmed, Strategic Account Manager, delivered a detailed presentation on RheoSense technology and instruments. His presentation sparked much interest, leaving people eager to view the demonstration scheduled for the afternoon. After a very savory lunch, Dr. Ying-Chih Wang, Senior Manager, exhibited the easy-to-use m-VROC technology and tested samples submitted by an attendee. 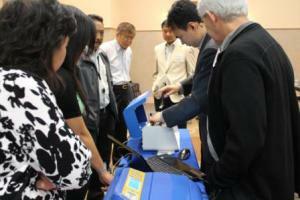 Marveling at the instrument and technology, participants convened around m-VROC and Dr. Wang. We are delighted with the seminar's results and look forward to developing additional seminars in the major biotech hubs of the USA. Several Rheosense distribution partners around the globe have expressed interest in conducting seminars later this year. We look forward to work with our partners and help them create successful events in all corners of the world.